It is also quite effective in treating puppies and kittens infected with gastrointestinal nematodes and puppies infected with protozoa (Giardia spp.) It even treats dogs infected with lungworm Oslerus (Filaroides) osleri or protozoa of Giardia spp. and cats infected with lungworm Aelurostrongylus abstrusus. 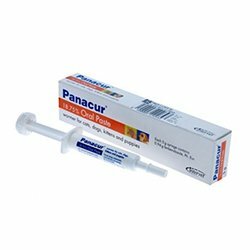 Panacur Worming Paste is a very effective means to treat worms in dogs and cats. It is currently available in 5g syringes of oral paste. Each paste lasts for 3 full months and treats 20 lbs. of adult animal and 13 lbs. of puppies and kittens. This treatment can be utilized as a part of regular worming treatment schedule. This ensures that the pets are safe from any parasitic infection and health risks posed by these worms. Fenbendazole, an anthelmintic is the active ingredient present in this deworming treatment. It effectively manages acute and chronic stages of parasitic infections in pets. It obstructs the energy metabolism of the worms which instantly cures the gastrointestinal along with respiratory tract infections. It is effective on canines, felines, puppies and kittens. It's quite cheaper and easy to dose. Nothing works like this any time before. 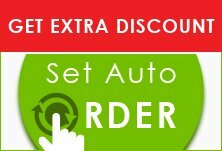 I get huge discounts at best vet care, so no waste of time browsing everywhere . Thanks guys at best vet care.